Mary, Star of the Sea School was established by the Diocese and Parish staffed by the Marist Community in 1946. Situated in the foothills of the Waialae-Kahala, East end of Honolulu, on a spacious 14 acre site, the school first consisted of an elementary and junior high school with grades 1 to 8. The high school was established in 1952. In 1980, an early learning center was added as part of the Star of the Sea Catholic Schools. 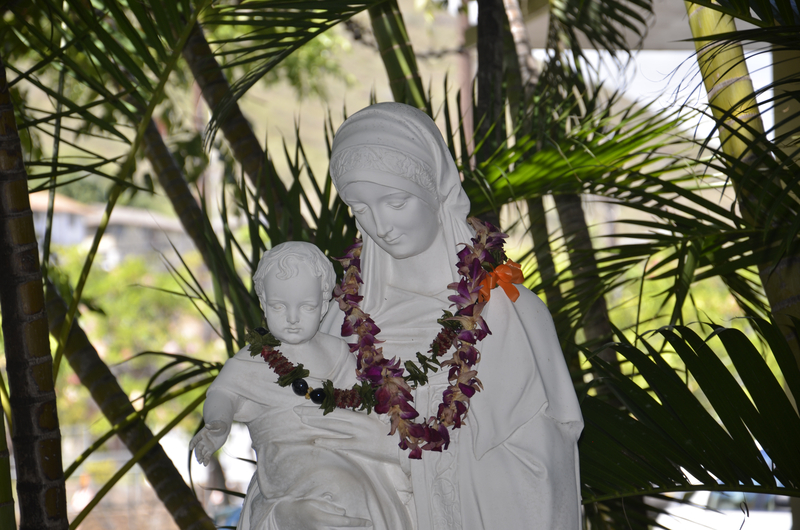 Mary, Star of the Sea School was originally staffed by the Sisters of Notre Dame de Namur who came to Hawai‘i from Boston. In June of 1984, the few remaining Sisters of Notre Dame withdrew after experiencing a depletion in personnel. The Sisters of Saint Joseph of Carondelet served as administrators from 1984 to 1991. The high quality of education begun by the founding Sisters continues at Mary, Star of the Sea today with highly qualified lay teachers who are dedicated to Christian value education and academic excellence. Daily: 7:45 a.m. to 2:45 p.m.
Mini-Days: 7:45 a.m. to 11:45 a.m.
Daily: 6:30 a.m. to 7:45 a.m.
11:45 a.m. to 5:50 p.m.
Mary, Star of the Sea School accepts applications on a year-round basis. Applications for new students may be obtained from either our website or at the school office between 8:00 a.m. and 3 p.m. Monday through Friday. New students applying for grades Kindergarten through Eight are required to take an entrance examination scheduled in February. In addition to the examination, new students are asked to submit Physical Examination/TB skin test, and immunization records.